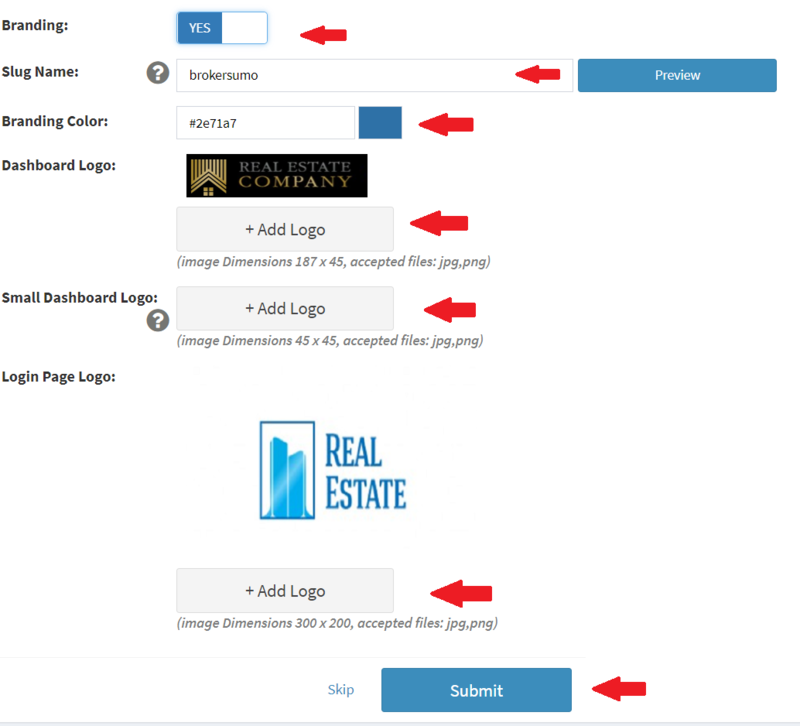 In the BrokerSumo Enterprise package you have the option to brand your BrokerSumo page with your company logos. 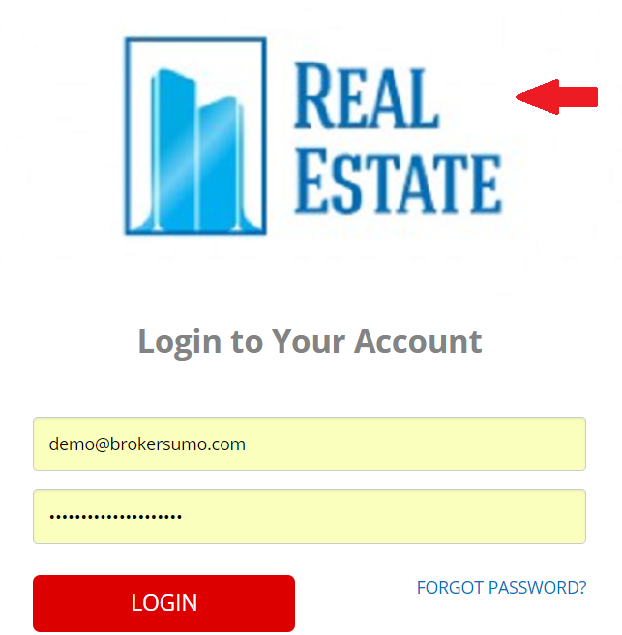 Once you turn that on to Yes you have multiple places to add logo information. Branding color is a custom color you can choose for the top bar of the webpage when you log in it will look like this with your custom color. You can choose the color that matches the background color of your logo. Then click submit to save your changes.